19 Use of interwikis for links to other games as a guideline? 24 Should we court NIWA for affiliate status? Did some shoveling. I think "more or less all the information" is often subjective, especially for a non-technical topic like a person. Quasar, given your post above, what do you think of these articles? I created them years ago, then tagged them as stubs after some people complained that they were very sparse. Quasar, I saw your IRC posts. Nobody said I was an authority on the technical characteristics of rendering :> but the key thing is that categorization was done haphazardly, a few images at a time, by people with varying degrees of expertise themselves. So in addition to what you say, there might be hundreds of *un*tagged files needing fixes. The dimensions should be 320x200 or 640x400 to be an immediate candidate. It's very likely anything else was rendered by a source port (which doesn't automatically mean they are correct but that they need more careful treatment, see below). If the image is 320x200 or 640x400 but has a correct-looking (non-squashed) HUD, or sprites that look tall instead of broad (ie they do NOT match their appearance if extracted from the IWAD and viewed on a square-pixel display) then its been rendered with inherent aspect ratio correction by a source port. One of the ones we found and I was talking about on IRC was such a pic, at 640x400 size. It was basically rendered like 16:10 widescreen would be correctly rendered (wider FOV, rescaled HUD that looks tall instead of fat). Just to be clear, as this category is already covered by my first suggestion, the "looks fat instead of tall" thing only works for shots that are 16:10. If the pic is already 4:3, like the one linked above, you can't correct it by rescaling - I suspect that one in particular is a Doom 95 shot and it renders its 4:3 modes in a very odd manner. You won't fix these by rescaling them. It's still worth considering, for 320x200 images in particular, that a loss of quality is incurred by rescaling them to 320x240. This particularly hits numbers on the status bar, and port elements like the BOOM HUD, badly. I feel uncomfortable with the idea of introducing tons of scaling artifacts in the name of chasing after proper aspect ratio as an ideal. It's not necessarily the most important thing about the pics we have in some cases, I think. This issue has been raised these last days due to some edits I've been doing. It turns out there are two ways to represent monospaced words/sentences: using either <tt> or <code>. <tt>: that's what's being used in most of our articles now. It looks_like_this(). <code>: that's what's used in a few articles. It looks_like_this(). As you can see, the biggest apparent difference between the two is that <code> adds a grey background. <code> adds a grey background, which serves as a visual separator from the rest of the sentence which goes beyond the font (which is monospace for the two). 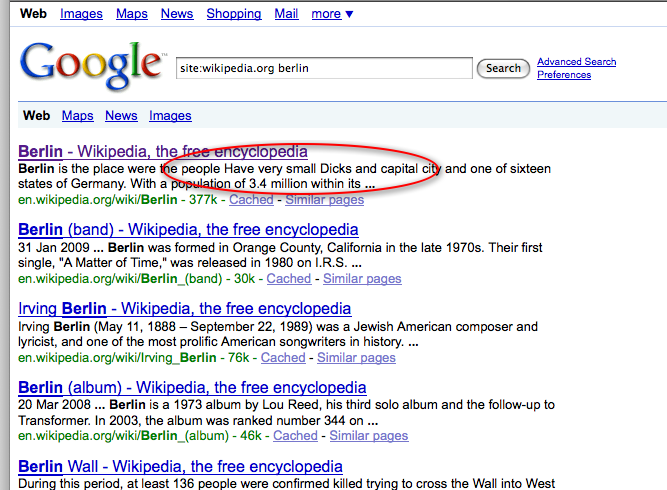 It's what Wikipedia is doing. For example: the Hello world program article. As you can see, they use <code> for all code samples inside sentences. On top of that, the big snippets of code also have a grey background, for consistence. <tt> is currently deprecated and does not exist at all in HTML5. Should MediaWiki transition to HTML5, all <tt> occurrences will have to be replaced. That will not happen today, but it will end up happening at some point. That's another possibility, suggested by Quasar. At that moment, I thought it would be overkill (like using a template just for bold text), but maybe it's the best solution. Monaco skin is most likely going bye-bye as the rebuild is not compatible with MW 1.18 or above. This is going to leave us in need for a new customized variant of Monobook or Vector as the default skin. Suggest posting your proposals. I'll want to be adopting something that is palette appropriate for Doom, and not sticking with a bright white background everywhere like the defaults have. That's going to require heavy customization of the CSS for whatever default we choose. Along with that loss, we'll lose the very nice sidebar menu. I'll be doing research on what if anything is available as a replacement. The FlaggedRevs extension will likely be going away and all of our revision approval data will be lost, because it won't import into the new version cleanly for whatever reason. We have two options with this - drop FlaggedRevs permanently, or install the newest version of it on the new instance and start from scratch. Also suggest posting your opinions in response to this. FlaggedRevs has been the most controversial aspect of this wiki since its migration, which is something to take into account. All extensions will be updated, and some may go away if they're found not to work. In the same vein, some new ones may be added such as the new Mobile Version plugin which optionally provides an optimized view of the site for handheld devices - these extensions require MW 1.2x and so we've had no chance of using them so far. What, you missed all the whiny forum posts, and my rants about user permissions? Jeez, we put a lot of work into that. I like that. Please remember it would be good to have the modifications done at the end of the Monobook css file or preferably on a separated css file. Classes can be overriden easily. That would help with eventual theme or mediawiki version updates. The head revision of dantman/monaco-port does work with 1.18+, but required MAJOR modifications to work out glitches and missing elements. So we still have our default skin. I'll be forking dantman soon on github and we'll be maintaining our own code base for it from now on (edit: Now available here). FlaggedRevs seems to have miraculously survived. Needs thorough testing. EmbedVideo came up as a question mark during the process but seems to be working as well. Many thanks to you and Manc for another grim investment in the long-term stability of the wiki. Just watch out for anything strange, in general. Right now the only bad problem I'm aware of, and it's one that existed before the upgrade but seemed to have less impact than it does now, is that File: pages cannot be marked as reviewed unless you make an actual change to them after uploading. I think this is a Flagged Revisions bug to be honest. One problem that's still possibly incompletely solved is missing system messages for some of our extensions. If you see this you'll see text similar to <some-message> or possibly &lt;some-message&gt; depending on the context, where you'd expect to see English language meaningful text. The fix for this is simple - I just have to upload some JSON files that didn't unpack out of the .tar.gz and .zip files properly. Don't try to create the missing system messages under MediaWiki namespace; it's incorrect to do so with the way things work now. I am opening a proposal to upgrade the license of this wiki to the latest version of CC-BY-SA, which is 4.0 International. Because the CC-BY-SA 3.0 allows automatic upgrading, it is legally possible for MancuNET, as the publisher of the content, to upgrade this license without need for any legal processes or extensive opt-in/opt-out process. However, I want there to be a general consensus at least before taking such an action. The chief benefits of an upgrade are in the significantly more clear wording of the new version, which makes explicit reference to the simplified version's terminology - Attribution, and ShareAlike - in the legalese version of the license; and there are also additional protections against addition of DRM to the data, similar to those added by GPLv3 over the GPLv2 (regarding WIPO's so-called "technological measures"). This wiki would remain compatible with CC-BY-SA 3.0 resources, as they all allow license upgrading. It would not however be possible for 3.0 licensed wikis to use the content here without either upgrading, or creating and managing a mixed-license environment. That's perhaps the downside with regard to other community wikis, though a possible upshot as far as it concerns theft of our material by Wikia (this is not my overriding concern in proposing the license upgrade, but it is a factor deserving of consideration). I support updating to CC-BY-SA 4.0. The list of changes looks pretty uncontroversial. It seems like a sensible move. It sounds like the main purpose here is to deny Wikia the right to use our work. This might work in the short term but I suspect Wikia will upgrade all their wikis to CC-BY-SA 4.0 at some point in the future anyway, so it's not likely to last for long. That said, upgrading to 4.0 is the right move anyway. When I turned this on I figured there would be measured, careful use of it and instead, in the last 24 hours, several interwikis to open independent sites we are trying to establish good relationships with, such as the Homestar Runner Wiki, have been deleted, and a few interwikis which we may have actually had links using, such as the 'c' prefix, have been deleted - leaving me with the inability to now find any of the articles that were using it via the API, since, it doesn't exist now. PS: Some discussion that occurred on IRC can be seen here. Some specific wikia community interwiki? Delete it. These are garbage mostly. If we have one for Wolf3D or Chex Quest, those should be made exceptions. 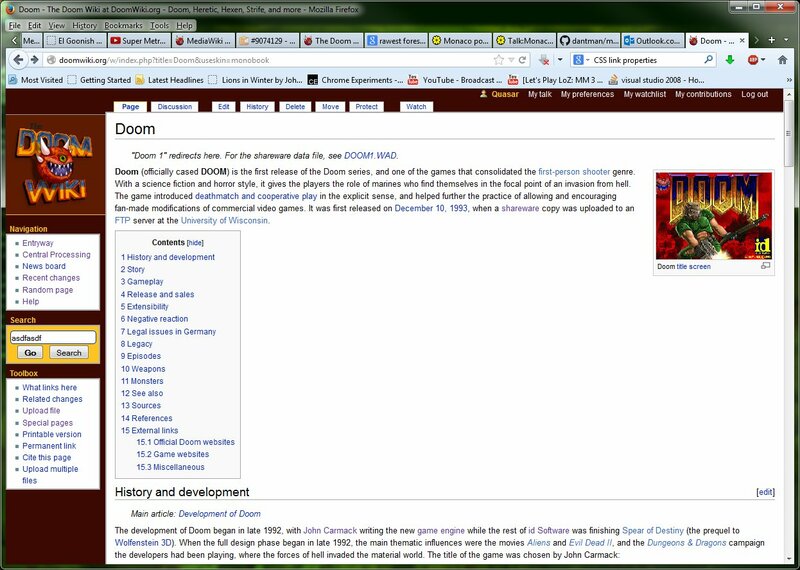 Links to independent wikis, especially ones relevant to gaming: leave them in place. We may have cause to utilize them. The following wikia interwikis need to be left in place for historical reasons: w:, wikia:, c:, community: - there are a lot of old talk page revisions with commentary by Wikia staff who linked to certain things relevant to those discussions, and in some cases these are still valid links and have even recently been useful to me (in particular, tracking down some of the old Monaco documentation that was linked to by Kirkburn). By deleting these interwikis we're sort of modifying what somebody said in the past, which is bad - it's a form of censorship in a way. I have verified we didn't have any links to their help namespaces left however; those were all in mainspace and have been expunged. Links to all the WikiMedia resources obviously should be left alone (wikipedia, wikiquote, wikitionary, metawiki, etc). These are critical. I have only been deleting irrelevant wikia wikis and dead non-wikia wikis (which were most probably irrelevant too). For instance when I went through A-E, I left things like bulbapedia or diablowiki, which I do not expect to be actually relevant and used here. Good to have a list of protected wikia interwikis, though I'd suggest maybe using a bot to remove use of redundant prefixes since both w: and community: are the same thing (and I'd kinda rather see them as wikia:, wikia:c, and wikia:w personally but it's not very important). Not that redundancy, in itself, is necessarily a bad thing. I'd really be tempted to add shorter interwiki prefixes like dengine:, eternity: or zdoom: for dengine_wiki:, eternity_wiki: and zdoom_wiki:. I have (finally) reviewed my actions in the interwiki table log. Almost all prefixes fell under Quasar's first bullet above, as I hope I made clear in the summaries. However, a few were additional Wikia "central" links, and although they were unused, I didn't verify that before removing them, for which I apologize. Apparently that was me. It never would have crossed my mind that anyone would type that, when [[mw: has always been available and is already far more common (similar to how [[community: is never used because [[w: and [[wikia: were retained). I guess I underestimated the number of quick fix edits needed during the migration . Sorry, Quasar. Your query offer should help with future deletions anyway. I just got a fresh dump, and here are the prefixes in use. This includes unmodified system messages, but a link in a template only counts once. Ideally, someone could figure out a regexp search for two left brackets, followed by a string not containing two right brackets, followed by a colon. That would rope in prefixes which were never valid, or were dropped by Wikia before we left. Someone just did this and, by combining the mighty powers of FlaggedRevs and QuestyCaptcha, I haven't had the nerve of doing anything about it -- I just don't know what I'm undoing or what I'm going to break. First, if you click "diff" on the Recent changes page, you're taken to a diff between the blanking and the last revised edit which was like two years ago. As Quasar said, part of the historical revisions of articles were magically invalidated. So I had to go to the history tab to do the correct diff and then undo it. But then when I clicked Save, I was taken to the captcha, with no diff (just the article itself), so I don't know what in hell I'm undoing. It's like editing blindly. To clarify (after IRC discussion), this means a maximum time for a deletion thread to run. When that time elapses, if the admin sees no consensus — either opinions are divided, or participation is insufficient — then the article is kept. Anyone still wishing to delete must begin a new thread. Use of interwikis for links to other games as a guideline? Being a new kind of thing for this wiki, the only thing present is the subpage on the Entryway talk page: very hard to discover without being in-the-know. "Email me when a page or file on my watchlist is changed" became checked. "Image size limit" went to the default value (and now has different choices IIRC). "Add pages and files I edit to my watchlist" became checked. Should we court NIWA for affiliate status? I have kicked off the long overdue project of having articles for every Strife map. My one request for these is that we not put fragmented in-depth walkthroughs in each article that try to explain progression in a piece-wise fashion, as Strife is too non-linear with multiple possible choices being made for this to work (they've done this on wikia, and the result is hideous). What I want to do instead is place only the basic rundown of the maps' locations in each article, and then link to episode-wise dedicated walkthrough articles for each major part of Strife from the levels that are involved in that part.